Compatible with Losi Mini Rock Crawler / Vaterra Slick Rock ring and pinion gears, and Axial XR10 / Wraith universals, c-hubs, and knuckles. Increased steering angle with strong Universals (requires modifying the shafts to the correct length). Includes JC Auto Design Tuff Tubes - Zinc plated Brass inner tubes - adds strength and weight. Front axle shown above, matching rear axle coming soon. Currently undergoing testing, pre-order coming soon! 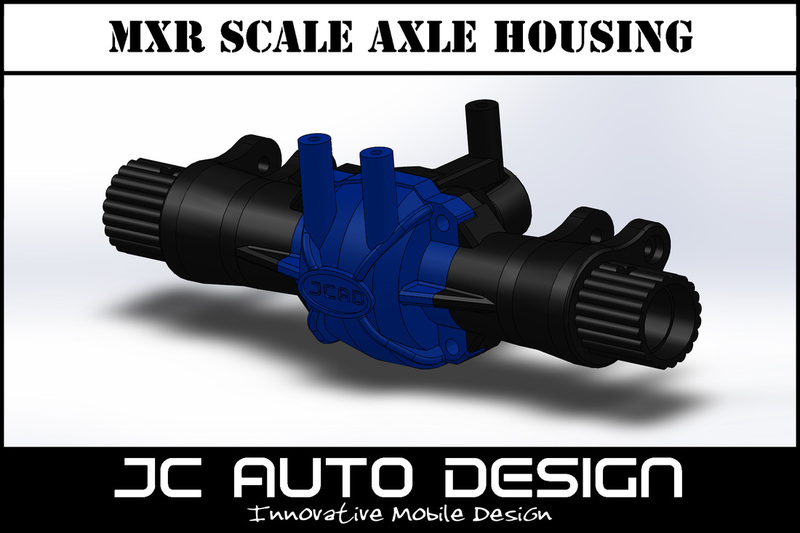 More information about this axle housing can be found in my Karnage Jr. build thread.